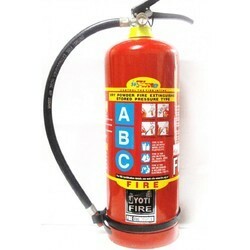 Extensively tested by our quality inspectors in the threshold of their quality standards that are kept high we bring to our customers Fire Extinguishers ABC Type. 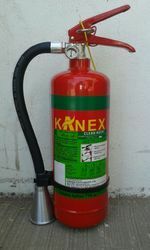 These hand controlled fire extinguishers are of great use during adverse conditions and are having arrangement of Jet, Spray, Adjustable water curtains. 500 gm, 1 kg, 2 kg, 5 kg, 10 kg, 25kg, & 50 Kg. (ISI mark conf. to IS : 13849 in capacity of 500gm, 1kg, 2kg, 5kg & 10kg. 1 ltr, 2 ltr, 4.5 ltr, 9 ltr & 50 ltr. Each cylinder tested to 30 kgf/cm². 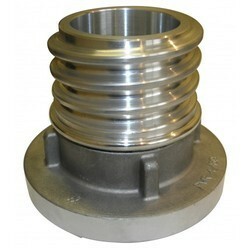 Extern Construction : Pressure Guage : Anti corrosive Treatment : Hydraulic Testing : ².
Epoxy Polyester powder coated in P.O. Red / Fire Red Color. Wall mounting brackets up to 9 liters & 10 Kg Capacity fire extinguisher & Above wheel mounted trolley type. Pressurized to 14 kg/cf² for stored pressure models only. Specification type: As per IS:13489 latest version. Capacity: 5 Kg (Also available in 1 kgs, 2 kgs, 10 kgs, 25 kgs & 50 kgs). Construction: Manufactured out of CRCA sheets in all welded construction. Valve: Brass forged / Gun Metal. Pressure Gauge: High precision calibrated to know the readiness of the Extinguisher. Anti-Corrosive Treatment: Body coated with lead and tin alloy internally and externally by electrolic deposition process / phosphatized. Hydraulic testing: Each body hydraulically tested at 30 kgf/cm2. 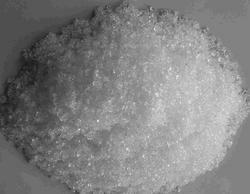 Charge: Dry Chemical Powder Mono ammonium phosphate based. Finish: Epoxy polyester powder coated. India’s leading player involved in the manufacturing and export of Raw Organic Cotton & Organic Cotton Bales. We have established strong footholds in this competitive economy as one of the foremost Raw Cotton Manufacturers and Exporters from India. 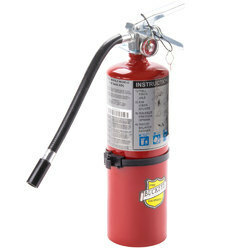 Usage: It can be used in multiple fire-fighting to extinguish fires of class A, classes B and Class C.
Treated by complete silication damp-proof and caking-proof processing. Advance Micro Controller based fire alarm panel. 8 to 48 Zone Expandable. 16 x 2 character LCD display. Mains, A.C.Fail, Fuse, Charging, Rev. Battery indication. Extra free potential contact for fire & fault. Trickle and fast charging facility. 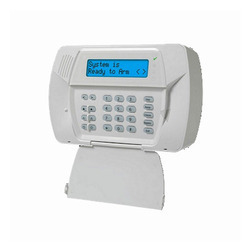 Reset alarm cancel, Lamp test control etc. 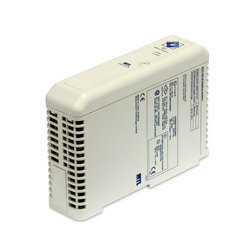 Compatible with any make smoke heat detector. 485 communication for Repeater & Mimic Panels. Guarantee : For the period of 12 months from the date of purchase.